Plus, mini-lessons on theme and ways to assess students’ understanding. When fourth grade students in Becca Morris’s class start listening to R.J. Palacio’s Wonder, she looks forward to the discussion it will inspire, with questions like What does it mean to be a true friend? What’s the role of the bystander in bullying situations? and Can we tell what a person is like just by looking at them? anchoring the conversation. It is conversations like these that facilitate teaching theme and can turn reading a book into a life-changing experience for young learners. Each time students read, they’re entering into a conversation with the author about what matters, says Jeffrey Wilhelm, distinguished professor at Boise State University and author of Fresh Takes on Teaching Literary Elements. At the core of that conversation, however, is comprehension. To fully explore theme, students must understand what they read and then extract ideas from the text. “You can’t think with ideas unless you understand them,” says Wilhelm. 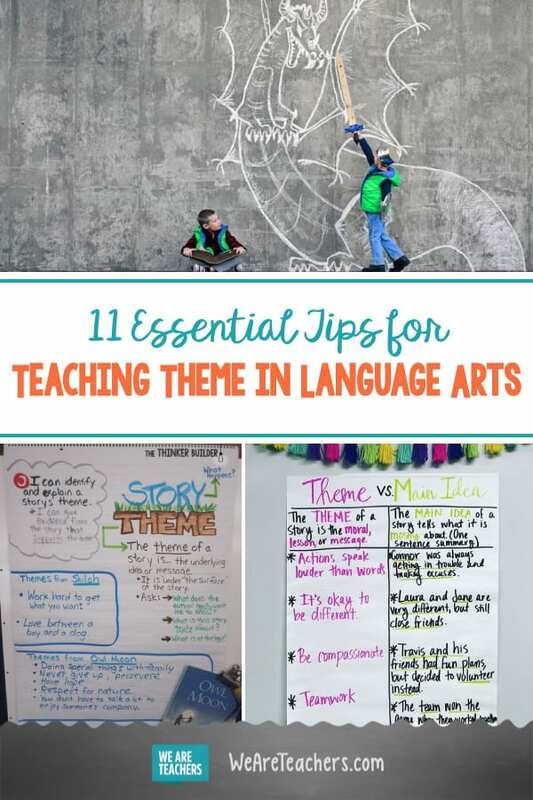 Here are 11 tips to help your students understand theme as they read. 1. Meet your students where they are. 2. Start with concrete details. Before they can identify and work with the theme of a story, your students need to have a strong grasp of the details: setting, character, plot. When they work with theme, they have to synthesize all that information into an overarching message. 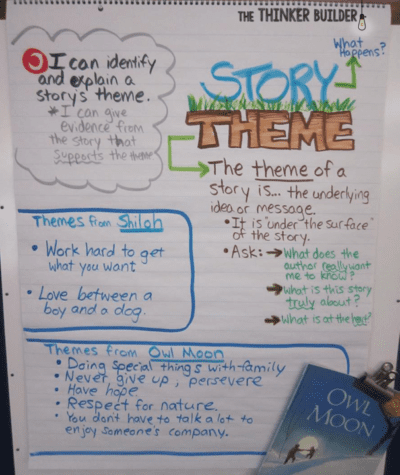 Use anchor charts to outline the elements of the story or give students a graphic organizer to follow. 3. Clarify the difference between theme and main idea. 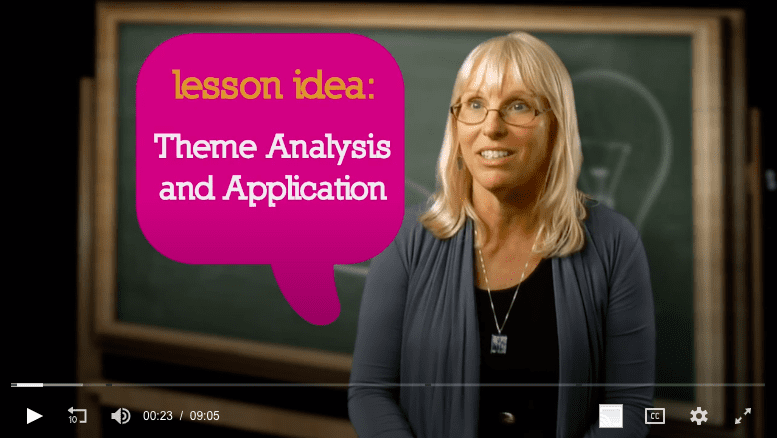 Many students have difficulty differentiating between the main idea and the theme. The theme is the underlying message that the author wants to convey, whereas the main idea is what the story is mostly about. Teach these concepts separately and together. You might practice identifying themes and main ideas using Disney films or the stories your students read last year in order to have a common reference point. After you review as a class, give students a list of themes and main ideas and challenge them to work in pairs to create matches. Theme is a difficult concept to grasp. Unlike the concreteness of setting or plot, theme is subtle and subjective. Move from simpler to more complex class assignments to help your students deepen their understanding. Humanities teachers Sara Kaviar and Megan O’Keefe, of the Wildwood School in Los Angeles, invite their students to work in groups to identify the theme of a fairy tale. Next, they create different endings to the tale and work together to identify how the new ending affects the theme. Finally, students write their own plots to match a given theme. Watch a video of their how they approach teaching theme here. 6. Ask story-specific questions, too. 7. Approach theme from different directions. Be ready to phrase questions about theme a few different ways because you never know which question(s) will resonate with students. Some questions that will encourage thinking about theme are: What did the author want us to think about? What idea stays with you? and What will you remember about the story a year from now? 8. Accept a range of answers. Of course, for many texts, there are often multiple themes and more than one way to express them. Be flexible when accepting students’ answers to theme-based questions. Students will often be grappling with concepts they can’t fully own. For example, if a student says the theme of Tuck Everlasting is living forever is a bad idea, you can work with the class to find different ways to express this thought. You might say, “Okay, what are some other ways we can say that?” Guide students toward the theme rather than requiring one right answer, which can turn the discussion into a game of guessing the teacher’s thoughts. 9. Get away from the obvious. It’s easy to tease out the theme from some stories (think: Aesop’s The Ant and the Grasshopper). 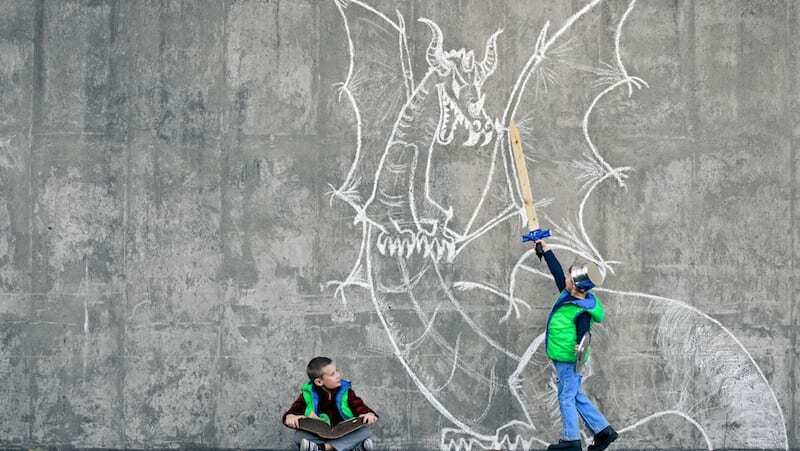 Challenge students with stories that don’t follow a typical pattern. For example, in the Great Books unit on honesty, students read about characters who begin each story by being dishonest. By starting with a character who’s lying, students explore deeper issues of honesty from the start. The careful use of stories, says Claff, opens up issues for students in an interesting real-world way. 10. Connect your discussions to other subject areas. Do you see examples in social studies or current events that connect to your theme? Start a collection or bulletin board around your current literature theme. Students can add examples from pop culture, history, or other reading. Help students connect the theme to their own lives by assigning take-home activities that build personal experiences around each theme. When students study kindness in Great Books, they perform a random act of kindness. And when third graders study gratitude, they give an anonymous gift so they can experience what it’s like to not receive a thank-you. 11. Provide a range of reading options. To engage students at varying reading levels, provide a selection of books on one theme. When teacher and author Laura Robb teaches about obstacles, she fills her classroom library with biographies so students can read about how different historical figures overcame challenges in their lives. Even when each student is reading something different, they are still engaging with the theme in conferences and writing. One way to introduce choice is to have a read-aloud anchor text for all students, with a variety of stories to choose from for independent reading. In conferences, ask students to relate and connect their independent reading to the read aloud. 1. Use an anchor chart. Give students a visual understanding of what theme really is all about. For instance if the story is the grass, the theme is the underlying roots. Or if the story is a living thing, the theme is the heart. Read inspirational words to define a theme and brainstorm stories, movies, or real-life events in which you see this theme played out. Make art a springboard to discuss themes and how they’re interpreted. For example, Edvard Munch’s The Scream can inspire a discussion about the theme of fear and uncertainty. Songs can lend themselves to a discussion of how artists communicate larger messages through lyrics. For instance, Lee Ann Womack’s “I Hope You Dance” lends itself to a discussion of independence. 5. Pull out the oldies but goodies. Fairy tales are quick hits in teaching theme—like pulling the theme of envy from Snow White. Brainstorm theme ideas from popular movies. For example, The Lion King and responsibility or Willy Wonka and the Chocolate Factory and greed. 7. Judge some books by their cover. Post the covers of books you have read and ask students to discuss whether or not the theme is evident on the cover. As the year progresses, you’ll want to know if teaching theme paid off and if students are able to identify theme independently. Here are six suggestions for finding out if your students are getting it. Have students annotate a text with details, quotes, and other “golden lines” that highlight the theme. Save and print our free teacher and student infographic posters on annotation. 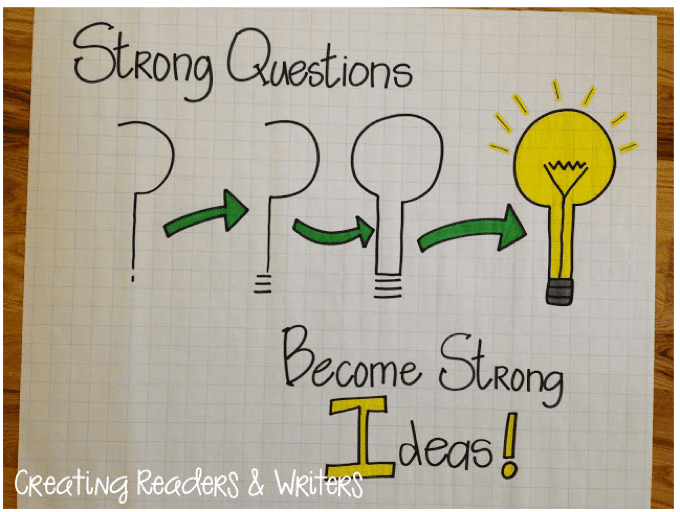 Writing responses to the essential questions from the start to finish of a unit will help you see how students develop their ideas. Oftentimes theme comes from the way characters—usually the main character—changes and grows throughout the story. Have students create a growth chart focused on one character, that marks transitions in their development. 4. Compare the theme with that of other stories. Connecting the theme from one story to another shows that students grasp the theme in a broad sense. Ask your students to give concrete examples from the book that demonstrate the theme. This can include quotes, summaries, or title headings, to name just a few. 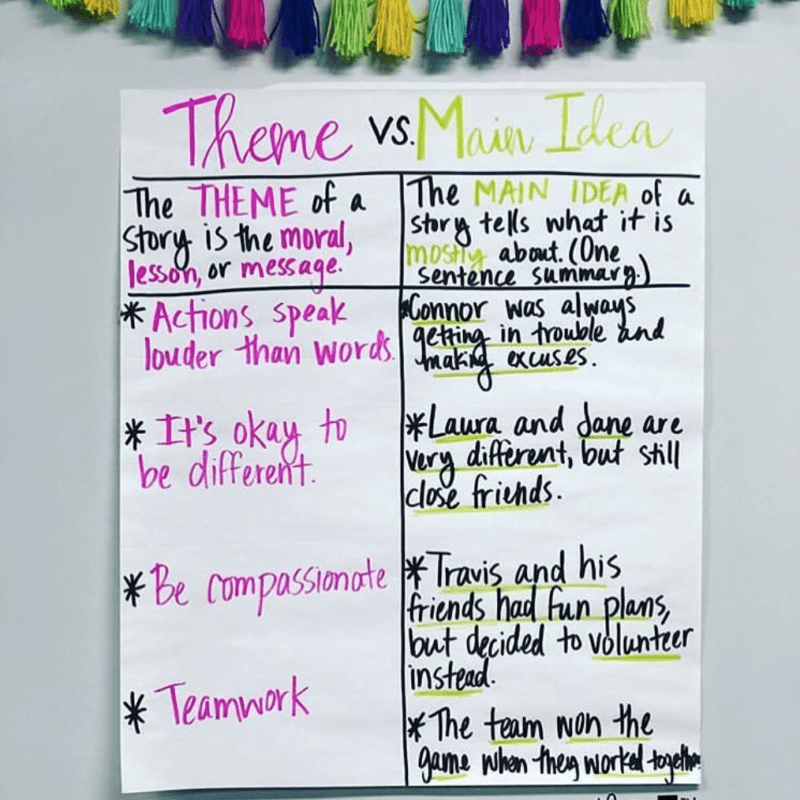 Have students make a connection through writing and discussion on what the theme means to them personally and how their understanding of the theme has changed based on their reading. 7. Search for additional themes. Many stories have more than just one theme—sometimes you just have to dig a little. Using a story that students are familiar with, have them identify and support a theme that’s different than the one you’ve already studied. For example, in the story Oliver Button, students may come up with themes of bullying, gender roles, and determination. In reading conferences with students, train yourself to listen for specific details and examples about theme. The more students are understanding, the better they’ll be at answering questions like What does the author want you to remember? What are your tips for teaching theme? Come and share in our WeAreTeachers HELPLINE group on Facebook. 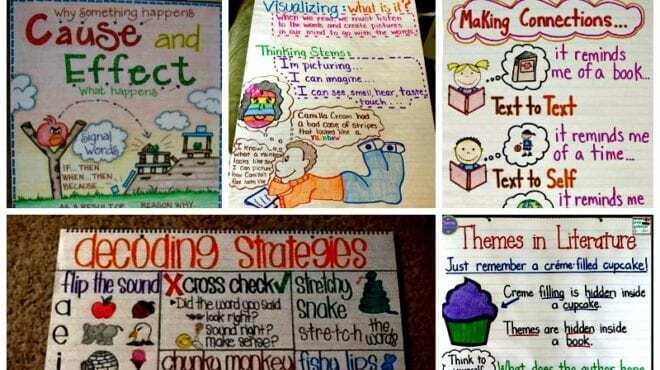 Plus, our favorite anchor charts for teaching reading comprehension.